My bustle dress I was working on is all finished! Hurrah! No pictures yet, sorry- I’m going to wait to share pictures after the event I am going to when I get all my hair/makeup/accessories together. Moving on with my sewing list, however, is a transitional dress from the beginning of the Natural Form era. 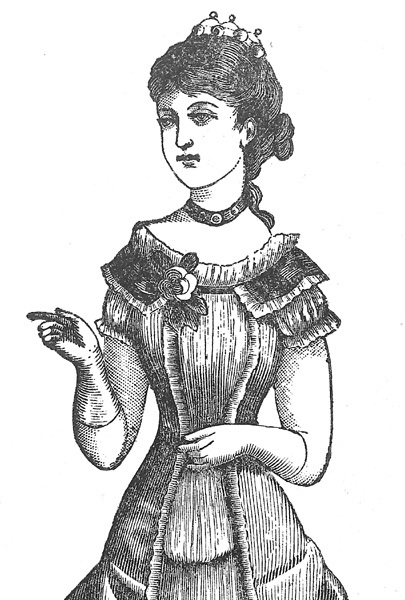 I thought you might enjoy these dresses from 1879. Happy Friday! Yay on a finished big dress! Can’t wait to see pictures! 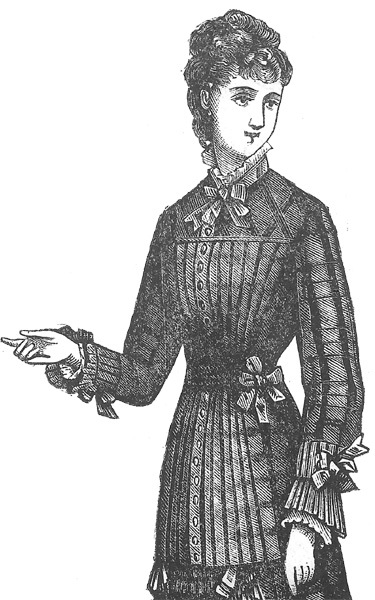 1879 is one of my favourite years, but those dresses are HORRIBLE! The trimmings are so unbalanced, and the proportions are terrible :-( I rate them 2/10 each!